I’m not sure I will be able to express the excitement of how I feel clearly with words in this post, but I will try my best. I’m so happy! I feel like I’ve accomplished something. You guys…I found my first favorite and I’m so stoked! If you’ve been following the blog or DiscoverCharmCity Instagram, then you know that I am on a quest of finding my favorites in Baltimore. I want to find the things I actually love, not what’s trendy, but what I really like. I’m looking to officially give the title of “My Favorite” to whatever I discover to be my favorites in the city. Truly, I’ve had a really hard time giving the title of “my favorite” to anything…until now. Literally, I found my first favorite last week (ok confession: I wrote this post like over a month ago, but I’ve been dragging my feet to post) and It was love at first sip. It’s such a random first favorite but I don’t care. I’ve gone back and forth about sharing because I wanted to be selfish and keep this place to myself, but I must share this gem. My official first favorite is this Lemon Ginger Tea from Café Andamiro. The cafe’ hand cuts fresh lemons and ginger to make the tea. I honestly do not know what else Café Andamiro does to get the mixture of ginger and lemon juice just right, but they have mastered it. 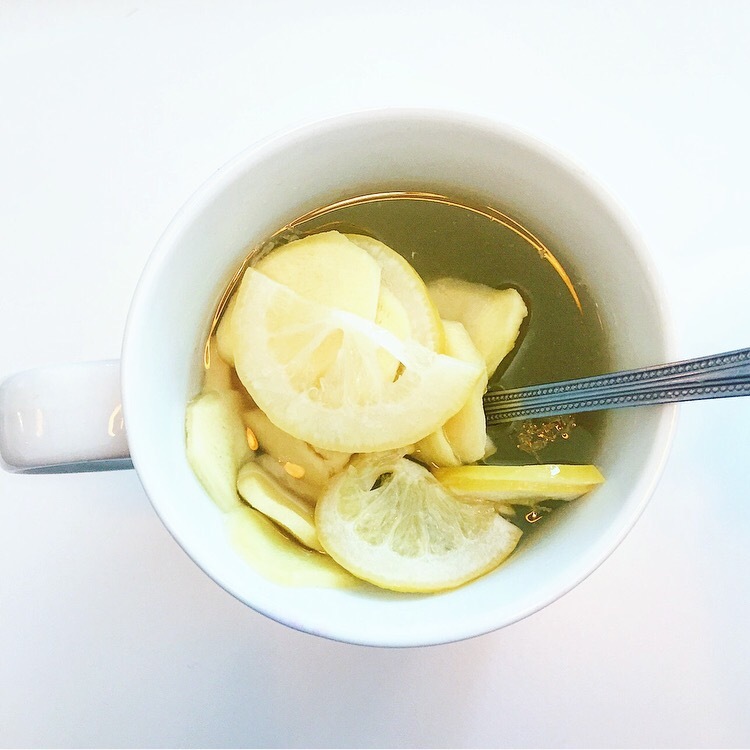 The lemon and ginger mixture is then placed in a tea cup with honey, and hot water. I was advised to stir well. I did, and it was amazing. You can even purchase your own jar of Lemon Ginger Tea to make at home. I’ve been hooked. I seriously buy tea from the Cafe’ every week. Not only do I like the tea, the food is great too! I would post about the food but just head over to my IG page to see that, I want to stay focused on the tea! So, there ya go. I’ve officially handed out my first favorite award (I have no award to actually give lol), but hopefully if you’re reading this and looking to find a lovely new tea to try, maybe you’ll stop by Cafe’ Andamiro and taste theirs!